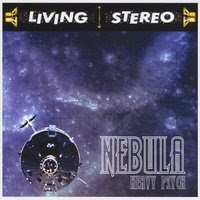 Nebula are a heavy, psychedelic space/stoner rock band that have been around since the mid 1990's. Their music is a mixture of the euphoria of The Stooges, the riffery of Black Sabbath, and the space rock of Hawkwind, all wrapped up into a sound that is completely their own. Every album they put out is consistently good, and they are always growing and expanding their sound. Their latest E.P. 'Heavy Psych"(2008) is a follow-up to their face-melting punk/space rock masterpiece 'Apollo"(2006). It is a drastically different, much more laid back affair. On "Heavy Psych", Nebula concentrates much more on textures, layers of sounds, pure psychedelia, and slower tempos rather than sheer volume and speed. The guitar playing grows stranger with each album, with several nods to Helios Creed and Jimi Hendrix on this release. The mood is quiet and turned inward throughout. Nebula still can come on strong on this album, especially with the monster riffs on the track "Aphrodite", but they never really blast off. Still, it is a good listen. All in all "Heavy Psych" is a quiet, contemplative release designed to hold you over til their next full length album. Whichever direction Nebula tends to take in the future no one knows, but I'm sure it will be good. "Heavy Psych" is just good enough to hold you over until then. Here's "Aphrodite", my favorite track from the E.P.